Accepting short fiction & poetry, creative nonfiction, interviews, social justice concerns, spoken word recordings. Editorial lead time 1-2 months; accept simultaneous submissions & reprints; length flexible, accepts excerpts. Receives postal submissions & email—prefer email submissions as attachments in Microsoft Works Word Processor or Rich Text Format. Copyright reverts to author. Submissions read year around. Publishing as semiannual e-zine. Check downloadable issues on website for style & tone. Use latest version of Adobe Reader. E-zine circulation 5000+. Website traffic 750-1000 hits/month. Also looking for artwork, photography, music to post on website and links to exchange. Deadline May 1st, decision June 1st. $1000 prize; winner published on website. 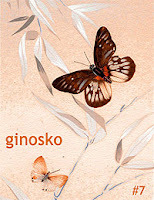 Write money order or check out to Ginosko or use PayPal account GinoskoEditor@aol.com. Classifieds $50/6 months, 100 words max. Poetry: Send 1-3 previously unpublished poems, any subject or style cut-and-pasted in the body of an e-mail. If attaching poems, please also include in the body of the e-mail. Postal submissions with SASE with sufficient postage for return. Please include contact information and brief bio with submission. We accept simultaneous submissions, but please inform us if your work is accepted elsewhere. 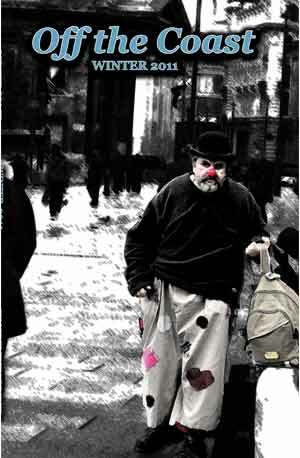 If sending both poems and artwork, please send in separate e-mails. Artwork: We accept B&W graphics and photos to grace the pages of Off the Coast, and color or B&W for the cover. Send 3-6 images in jpg format. We prefer you select and send images rather than send a link to your website. Reviews: For reviews, send a single copy of a newly published poetry book. Please send bound books only, we do not review chapbooks. Contributors receive one free copy. Additional copies of the issue their work appears in available for half the cover price. Editorial decisions are not made until after the deadline for each issue. Notifications go out the first two weeks of the month following the deadline date eg: early April for March 15 deadline. Sample issues available for $10. Subscriptions to Off the Coast are $35. Two-year subscriptions are $60 (25% off the cover price). During AWP, I had the pleasure of meeting Donald Morrill, the Associate Dean of Graduate and Continuing Studies, University of Tampa. Morrill is interviewed in detail within this recent article announcing the new UT low-residency program. Read the article here. The Warren Wilson MFA Program for Writers and The Rona Jaffe Foundation are pleased to announce The Rona Jaffe Foundation Graduate Fellowship in Creative Writing. The fellowship will cover two consecutive semesters’ tuition and the fees for two residencies, plus a generous stipend to cover books, travel to residencies, childcare, or loss of income while attending each residency. 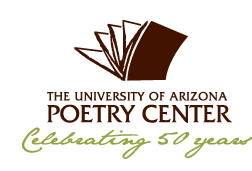 The Rona Jaffe Foundation will award one fellowship annually to an incoming female creative writing student in poetry or fiction. The Rona Jaffe Fellow will be chosen by the MFA Admissions Committee in consultation with the Director. The decision will be based on the quality of the application manuscript, essays, and recommendations. “We’re thrilled to be able to offer an incoming student this remarkably generous support from the Rona Jaffe Foundation,” says Debra Allbery, Director of the MFA program. “Our low-residency MFA attracts ‘emerging’ writers of all ages, from a wide variety of backgrounds; this fellowship recognizes the full range of costs involved in pursuing this degree. We’re honored to be the first low-residency MFA program to receive this funding.” The Foundation has also established graduate fellowships for women writers in Ms. Jaffe's honor at the Iowa Writers’ Workshop and the graduate Creative Writing MFA Program at New York University. The first Rona Jaffe Foundation Fellowship will be awarded in March 2011 for a student entering the Warren Wilson MFA program in July. The Rona Jaffe Foundation recognizes that women writers make special contributions to our culture and, through its Writers’ Awards program and sponsored fellowships, tries to address the difficulties that some of the most talented among them have in finding time to write and gaining recognition. Celebrated author Rona Jaffe (1931-2005) established The Rona Jaffe Foundation Writers’ Awards program in 1995. It is the only national literary awards program of its kind dedicated to supporting women writers exclusively. Since the program began, the Foundation has awarded more than $1 million to emergent women writers. 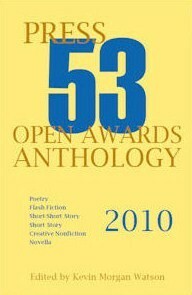 First Prize Novella and First Prize, Second Prize and Honorable Mention in each category published in 2011 Press 53 Open Awards Anthology, October 2011. By entering the Press 53 Open Awards Writing Contest, writers give Press 53 permission to publish the entered work or works in the Press 53 Open Awards Anthology and to list the author’s name in the Press 53 Open Awards Anthology and on the Press 53 website. Author retains copyright to the work or works entered and published. Press 53 is granted a one-time right to publish the work or works in the Press 53 Open Awards Anthology. Visit http://www.press53.com/OpenAwards_2011.html for full contest details, rights, submission procedures, and a list of this year’s judges. What a week. AWP 2011, hosted in Washington DC, was again a whirlwind experience, and again an event for which I am so pleased to have connected with friends and colleagues from around the country and beyond. I must first offer thanks to a number of people who made my presence in the bookfair a success: Celeste Gainey, Tod Goldberg, Clark Knowles, Patsy Sims, Jim Warner, Kobbie Alamo, Deb Henry, Debra Allbery, David Stevenson, and Winona Wendth were all so wonderful in helping out at the table for The Low-Residency MFA Handbook: A Guide for Prospective Creative Writing Students. You all rock and I thank you so much for your time, enthusiasm, and support during the bookfair. Thank you, also, to Millicent Borges Accardi who worked the table while promoting and selling (many copies!) of her recent poetry books. Millicent was a lively and engaging addition to the bookfair space and I owe her gratitude for helping out with some of the time slots during the conference. I am so pleased that ALL copies of The Low-Res Handbook I brought along and shipped sold out! I was empty handed by early Saturday morning and I am just so thrilled with the response. It was great to meet prospective, current, and past students, and others interested in picking up the guidebook or just chatting about their experiences. The programs featured in the book were all very supportive of the coverage they received and overall I don’t think I could have asked for a better response from this conference. I loved that my table was in view of Los Angeles Review, as it meant I was able to wave to poetry editor Kelly Davio and also have a convenient way to connect with LAR and Red Hen folks including Eleonora Nord and Joe Ponepinto. I also met the charming publisher and editor of Paul Dry Books (who also helped me out with some much-needed tape on Day One! ); it’s always nice to have good bookfair neighbors. There was no shortage of people stopping by the table to see me and I am so grateful to put faces to names for many ‘online friends’ finally. I’m glad Sheila Lamb popped by, author Claudia Manley, and I was lucky to flag down the beautiful duo Ned Balbo and Jane Satterfield. It was also nice to see Valerie Wetlaufer and Georgia Ann Banks-Martin! There was so much traffic at the table, I have to give a blanket thank you to all for stopping by, as it’s just too long of a list to name everyone. When I finally had a chance to make my rounds in the bookfair, it was lovely to chat with Kevin Morgan Watson (publisher/editor of Press 53), Kitty Lewis (Brick Books), the crew at NewPages.com, Leslie Maxwell (the lovely and talented nonfiction editor at Phoebe who worked with me on a recent piece), the joyous Accents Publishing table, and Marie Gauthier and Jim Schley from Tupelo Press, to name but a few. It was also great running into Richard Nash (Cursor) and poet Molly Peacock, and so many other folks I wish I could name them all. Thanks to Andrew Gray, director of UBC’s optional-residency MFA program, I also learned about the development and launch of CCWWP – the Canadian Creative Writers and Writing Programs conference that is planned for May 2012 in Toronto. Wonderful news! Speaking of MFA programs, I understand there are five (!) new low-res programs possibly in the works: Arcadia University (PA), St Mary’s College of MD, Union Institute & University (OH), U Tampa, and … John Cabot University (Italy). Wow. Definitely some great things in the works I’ll be checking into as time rolls on. The panel I moderated Friday morning was a great success thanks to panelists Meg Kearney, Kathleen Driskell, Tod Goldberg, and Michael Kobre. Thank you for making this a fruitful discussion and thanks to all fifty attendees for adding to the discussion. Thanks also to Jim Warner, assistant director of the program at Wilkes, for contributing some comments about innovative social media usage by their MFA program. Jim also hosted a pretty awesome poetry slam event which I was pleased to attend! In the bookfair I picked up lots of books and journals, plus a fun bag from Harvard Review and of course I managed to subscribe to enough zines and journals to keep my postal carrier cursing. Speaking of magazines, it was lovely to again connect with Jeff Reich from The Writer, whose table cleared a ton of freebie magazines! Overall, AWP in Washington was a great time and I’m already looking forward to Chicago in 2012. Due to this year’s success, I’m thinking of booking a table in the bookfair and will be looking to offer a few guest signings and promotional opportunities to fellow writers. Stay tuned for more info as the time draws near. Thanks, again, to all who made this conference a hit. It was great to connect with so many friends and colleagues and I hope you all had a memorable time in Washington.